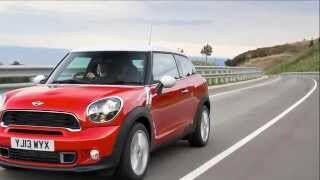 Mini has revealed the Mini Paceman UK-Version packed with MINI character and obvious design cues to feast your eyes. 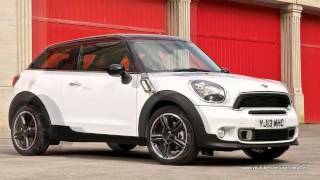 Styled as a coupe interpretation of the Countryman, it has a sporty new exterior design, lowered suspension for a dynamic ride and an exciting reinterpretation of the familiar interior. With a contemporary and expressive body shape, the Paceman has been created to appeal to a new type of design-conscious customer. The prominent horizontal lines and dynamic curved surfaces give the promise of sporting performance, yet there is an elegant simplicity to the overall form of the car. 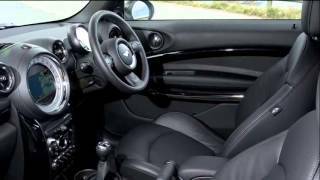 For those interested in petrol engine, the MINI Cooper Paceman features a 1.6-litre 122bhp unit offering a 0-62mph time of 10.4 seconds, fuel economy of 47.1mpg with CO2 emissions of 140 g/km. 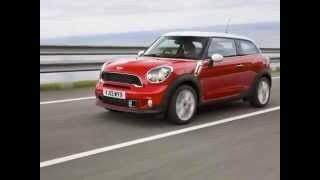 The MINI Cooper S Paceman uses the same engine, tuned to deliver 184bhp. It will sprint to 62mph in 7.5 seconds. Fuel economy is 46.3mpg and emissions are 143g/km. 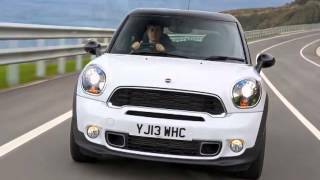 For those who prefer diesel, the MINI Cooper D Paceman uses a 1.6-litre 112bhp turbocharged engine with a 0-62mph time of 10.8 seconds. It provides owners with a frugal 64.2mpg fuel economy and 115g/km emissions. The flagship diesel is the MINI Cooper SD Paceman, which gets a 2.0-litre 143bhp engine. Its 0-62mph time is 9.2 seconds. Fuel economy is 61.4mpg with an emissions figure of 122g/km. The MINI Cooper Paceman starts at just £18,970 on the road.